My New Year’s wish list for 2012. 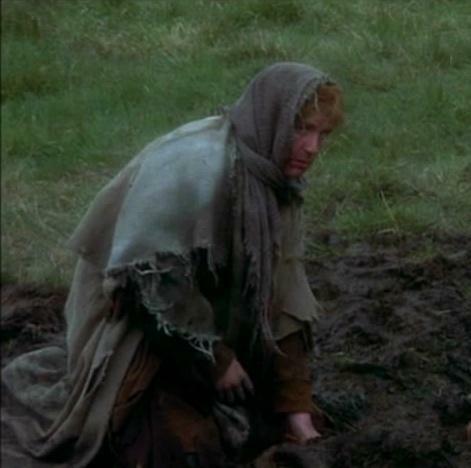 Nothing too extravagant – just a few things that, in my ‘umble opinion, would make New Zealand the egalitarian social democracy we once had – before someone thought that pursuing the Almighty Dollar was more important than building communites. Stop the asset sales process. This government has no mandate to privatise any of our SOEs. There is also no rationale for any privatisation, as dividends exceed the cost of borrowing by the State. Halt the Charter Schools programme. There is little evidence that Chart Schools achieve better results than non-Charter Schools, and at least one major research project on this issue indicates that Charter Schools are a waste of time. Introduce “civics” into our classroom curriculum. I’ve never considered this a necessity – up until now – but our recent low voter turnout – coupled with peoples’ apalling knowledge of how how political system works – is disturbingly. A modern democracy can only flourish if the public participate; contribute; and take ownership of the system. Apathy breeds cynicism, frustration, and ultimately disengagement, disempowerment, and a violent response. Implement programmes to assist those in poverty – especially families with children. Meals in schools (breakfasts and/or lunch) would be a great start. Build more state housing. Support programmes that help get young people into training, upskilling, and other constructive activities. 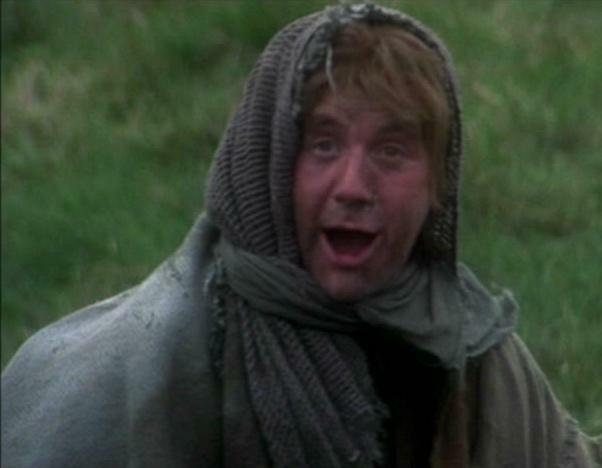 Stop bene-bashing and tinkering with the welfare system. Our high unemployment is a symptom of the current economic recession – not the cause of it. Instead, government must focus on job creation policies; training and upskilling of unemployed; and spending on infrastructure that maximises new jobs – not reduces them. It’s time to wind back our liberalisation of liquor laws in this country. That particular experiment has been a colossal failure. Split the drinking age to 18/20; ban ALL alcohol advertising; put in place minimum pricing; reduce hours of retailers and bars; give communities greater voice and control of liquor outlets; make public drunkeness an offence; and implement the other recommendations of the Law Commission’s report, ‘Alcohol In Our Lives: Curbing the Harm‘. Increase funding for Pharmac so that sufferers of rare diseases, such as Pompe’s, can have hope for their future, instead of mortgaging it merely to postpone death for another day. We can do this – we must do this. Release and make public all relevant information regarding the Trans-Pacific Partnership Agreement (TPPA). 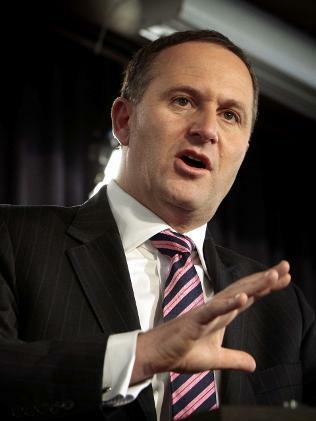 Making such deals in secret is hardly the transparency-in-government that John Key says he supports. Maintain and keep funding TVNZ7. The planned closure of this station – and replacement with a shopping channel – would be a blow to decent public television in this country. We can, and must do better, than simply a channel devoted to more mindless consumerism. Cease from further cuts to the civil service. Sacking loyal, conscientious, workers is not the “capping” – it is adding to the unemployment dole queues. It is gutting the system that makes a modern society function and we are losing decades of collective skills and experience for no discernible purpose. We went through this in the late ’80s; early ’90s; and late ’90s – and our services suffered as a result. Raise the minimum wage to $15 an hour. Stat! If the Committee doesn’t monitor itself, how will it be able to measure it’s success (or fail) rate? Poverty and unemployment have to be the top priorities of this government. Nothing else is as important. Like the way in which the Jobs Summit, in early 2009, sank beneath the waves, I do not hold out for much success though. Less spent on roads – more on rail and other public transport. Our continuing reliance on imported fossil fuels will not help our economy or environment one iota. No mining on the Denniston Plateau (or any other Conservation lands). This ecologically-sensitive wilderness area needs to be preserved for future generations. If we want to make money our of our environment – tourism is the way to go, contributing to approximately 10% of this country’s GDP. 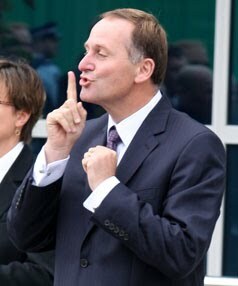 John Key. Minister of Tourism (NZ – not Hawaii), take note. No deep-sea oil drilling. The stranding of the ‘Rena’ and subsequent loss of of 350 tonnes (out of around 1,700 tonnes) of oil into the sea is the clearest lesson we’ve been taught that NZ is simply not prepared to cope with a massive deep-sea oil spill. An event such as the Deepwater Horizon oil disaster in the Gulf of Mexico, last year in April, by comparison lost 780,000 cubic metres of oil. An event of that magnitude would be catastrophic to our countrry. Free healthcare for all young people up to 18. And children to have first priority when it comes to our resources and funding. The future of our nation depends on healthy, well-educated, balanced children growing up as productive members of our society. Who knows – if we look after our children properly, they might feel more connected to our country and more motivated to live here instead of leaving for Australia. 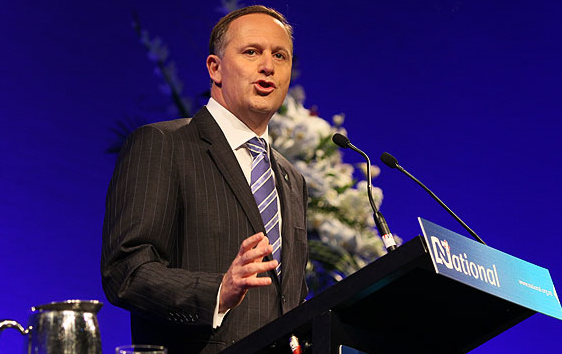 If we want our children to have committment to New Zealand – we need to be committed to them. 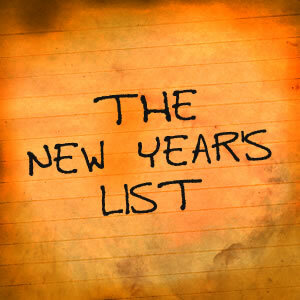 Those are a few of my New Year’s wish list. There are probably others that I may add at a later date – but they’ll do for now. A week or two ago, I happened to catch a segment of Lindsay Perigo’s TV blog, “Perigo!“, on Stratos TV. It is a Libertarian response to Bomber Bradbury’s more left-wing “Citizen A” and “War on News”, on the same network. Lindsay Perigo holds some views that are similar to mine – and others that are diametrically opposed. It’s all part of the fascinating, grand political rainbow upon which we all move. The episode in question was a repeat of one broadcast by Stratos TV on July 12, 2011, and was Perigo’s commemoration of the passing of Roger Kerr, Chief Executive of the Business Roundtable. 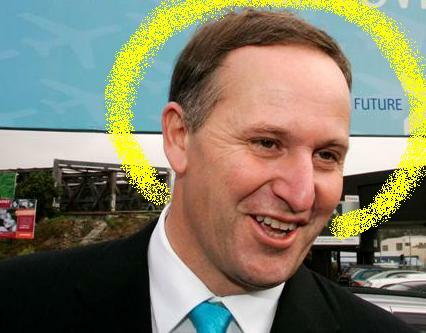 Millions of ordinary Kiwis have suffered because of HIS greed and desire to turn us all into a nation of slaves. Let’s see you try to take all your money with you now, you TRAITOR. This is why God exists, BECAUSE there MUST be a hell for evil of the likes of Roger Kerr, Ruth Richardson, Jenny Shipley, Rodger Douglas, etc etc. Actually, there is a place beyond hate, (which is how ordinary Germans felt about Jews), caused by years of hardship and suffering), and it is where my reaction to Roger Kerr, et al is, and I would quite happily send the Business Round Table to the gas chambers. And their families too. Why? Because you MUST get the evil OUT of the gene pool. That, ladies and gentlemen, is what we’re up against. 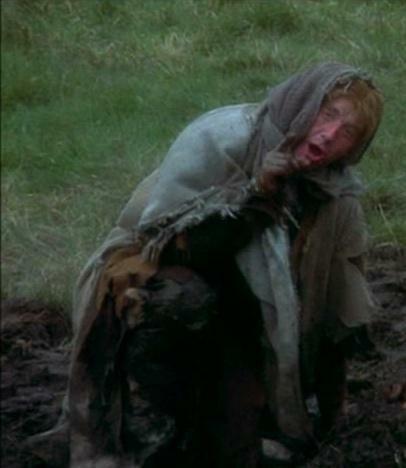 Generations of New Zealanders conditioned to believe they shouldn’t have to pay for anything; the world via the government owes them a living and any expectation they should make any effort themselves is a cosmic impertinence. Government should be all-providing … and all-powerful. Not merely mediocrity but sub-mediocrity is the goal … and those who would beckon us to a higher path should be gassed and damned to hell for it. This envy-and-hate-ridden, mindless, soulless and soul-destroying mentality brought us to the brink of catastrophe in 1984 and is threatening to do so again. Roger Kerr has fought the good fight against it for decades. At about this point, I switched channel. Not because I disagreed with certain aspects of Perigo’s views – but because in my view he was exploiting Kerr’s death to “have a go” at the Left. Quite distasteful. Bad form. And I say that as a left-winger who disagreed with much of Kerr’s views. However, the comment made by the “left winger”, that Perigo quoted, was somewhat… familiar. So I employed that great Oracle of the 21st Century – Google. And I discovered from whence that derisory comment had emanated from. It most certainly was not a “Blog” – leftwing or otherwise. It was from a messageboard belonging to “Trademe“. Yes, folks, that great icon of innovative, Kiwi capitalism; Trademe. Here’s the link to a website that has ‘captured’ and stored that particular Thread, entitled simply, “Roger Kerr“. The comment was actually made by an anonymous User, “321mat”, in Reply 2 – though it is visible only as a “reply-to-reply 2”, under a post made by Username “Silas”. I remember the post from “321mat” quite clearly. I myself recall posting on that same Thread (which has not been ‘captured’ by this website, “boardreader.com”). I made my own views quite clear; one may disagree with Kerr’s political opinions, but to wish him dead was simply unacceptable. By all means let us be passionate in our views – but not psychotically so. I would add that I am no fan of Winston Peters. 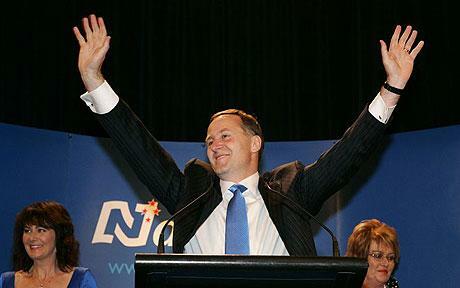 In fact, during the late 1990s I was a trenchant critic of him; his Party; and his fellow NZ First MPs. 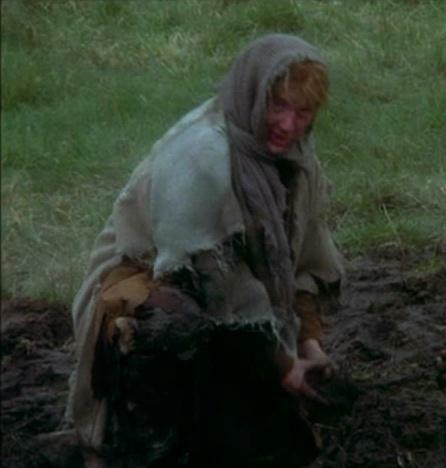 But I cannot recall ever wishing him to fall under a bus or similar fate. There is a vast gulf of difference between opposing the man’s ideas and actions – and desiring his demise. Perigo might care to reflect that it is an unfortunate fact of life that fantatics exist in all religions; in every political grouping; and throughout the left-right spectrum. This does not reduce the possible validity of a philosophy – it simply means that disturbed individuals tend to gravitate to more extremist religious/political groupings. … and political commentators who use the death of a public figure to “have a go“. It is a serious matter for a Minister of the Crown to allege that a news-media story has been fabricated. Aside from being potentially slanderous – it is a distasteful mis-use of ministerial power. It is State power attempting to intimidate and destroy the credibility of the media. This is Third World, banana-republic stuff. “John Hone Riiwi Toia Mutu and wife Debroah Anne Mutu have been deregistered as teachers and ordered to pay $20,000 each in costs after a hearing by the Teachers Disciplinary Tribunal. Mrs Mutu was a principal at Te Kura Kaupapa Maori o Kaikohe in 2004 when her husband, who was a teacher at the school, was found on a mattress with a 15-year-old student. Mrs Mutu tore up the student’s written complaint about the incident, which occurred when she was home alone. Mr Mutu was suspended by the school’s board of trustees in 2007 and his wife resigned in 2008, but she was later employed as a principal at a Kaitaia school before being appointed one of the Education Ministry’s 46 student achievement practitioners. The practitioners are ministry-appointed experts sent into schools to help them implement national standards. Labour has accused Mrs Tolley of misleading Parliament and the public after education spokeswoman Sue Moroney raised questions at the final question time last term on October 6. Mrs Tolley replied, saying “that principal has never been suspended”. A ministry spokesman said the information it had provided Mrs Tolley “at the time was correct” and it became aware of the allegations against Mrs Mutu only subsequently, when she appeared before the Teachers Disciplinary Tribunal a few days later. “The minister did not know at the time she answered questions in the House that Mrs Mutu had been stood down. If, as a ministry of education spokesman claimed, “the information it had provided Mrs Tolley “at the time was correct” and it became aware of the allegations against Mrs Mutu only subsequently, when she appeared before the Teachers Disciplinary Tribunal a few days later” – why did Tolley not issue a correction in the House at the first available opportunity? Will Tolley be issuing an apology to Radio NZ? Tolley is paid $257,800 (up from $249,100 prior to November) as a Cabinet Minister. If it is not her responsibility to ensure that she deals in facts – whose responsibility is it? How does the apparent incompetence of the Ministry of Education relate to this government’s on-going cuts to civil servants? Are we going to see more of these horrendous mistakes as National makes further cuts to government departments – until their efficiency is serious degraded to such a level that they cannot function in any meaningful fasion? And is this how the leaky homes fiasco and the down-grading of the mining safety Inspecorate began? Anne Tolley mis-led Parliament by making statements denying that the Mutu’s had been struck off. Tolley’s intemperate remarks attacking Radio NZ were an abuse of ministerial power. Tolley was advised within a week about the Mutu’s being struck off – and did nothing about it. Despite knowing the true situation, she made no effort to correct her earlier statement to the House. The effectiveness of the Ministry of Education, and other government departments, may be threatened as ideologically-driven cutbacks began to have inevitable consequences to public service competance and productivity. Considering that Ms Tolley is now Minister of Police, I believe the public need to be confident that she is competant and not prone to lashing out at news media who raise valid issues. 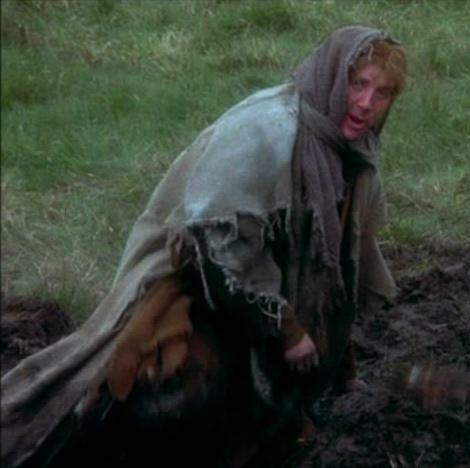 This blogger considers that she is not up to the task, and should stand down. 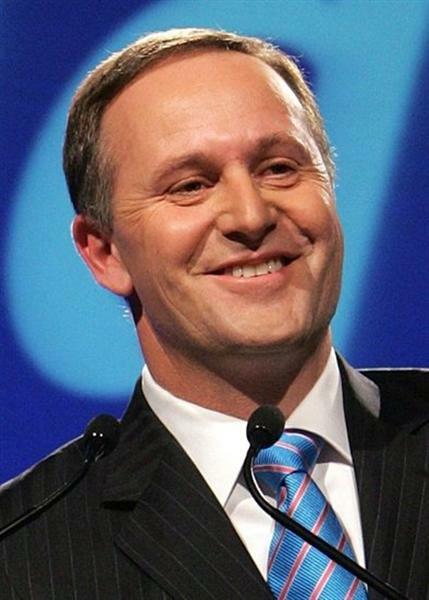 John Key is Prime Minister of New Zealand. As Prime Minister, he has been an almost omni-present figure on television, radio, internet, print media, etc, etc, ad nauseum. As Minister for Tourism, though, his presence has been more akin to a human “stealth-politician“. One has to think very, very, very hard to actually recall any achievements that Key has made in his role. In fact… he has achieved practically nothing. 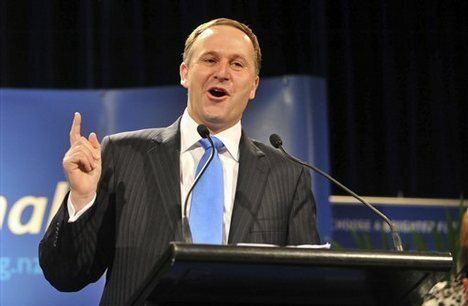 ” The national cycleway has so far generated just 215 jobs – well short of Prime Minister John Key’s expectation of 4000. 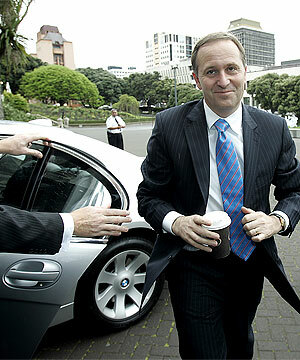 Not exactly an over-exertion on Key’s part. In fact, it’s a mediocre performance. Perhaps the most extraordinary contradiction of Key’s tenure as Crown minister is that he appears to be Minister of Hawaiian Tourism. 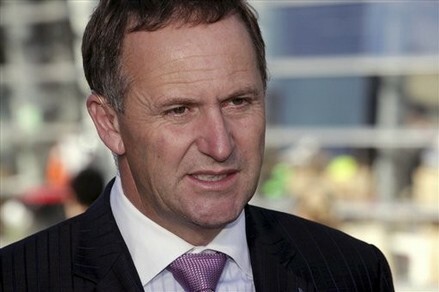 Every year, John Key takes his family – not to a New Zealand destination – but to his holiday residence on the Hawaiian island of Maui. 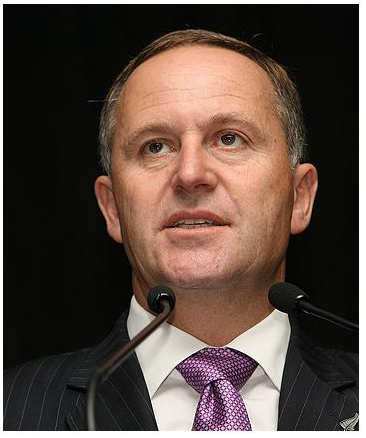 Personally, I wouldn’t care a jot if John Key was Minister of Housing or Energy or Mushroom Farming – his choice of holiday destination would be irrelevant. “It is a privilege to be New Zealand’s Minister of Tourism, to lead tourism in our beautiful country, and to promote our incredible scenery, our fine food and wine, our rich Maori culture, and the 100% pure experience. Tourism is one of New Zealand’s most interesting industries. It has many different operators and many different customers. And its success is hugely important for our future. Already, one-in-ten working New Zealanders are employed in the tourism sector. It accounts for around one dollar in every five of our export earnings. And it makes up about 10% of our economy. 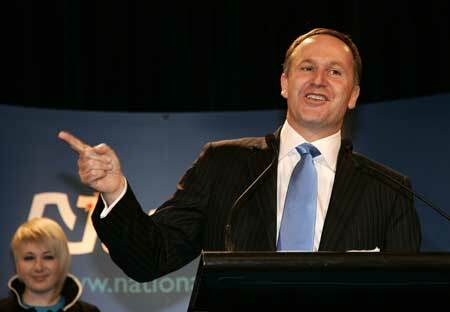 I can’t see John Key promoting New Zealand from a beach in Hawaii. It’s not exactly a Vote of Confidence in our own tourist industry if our own leader takes of to overseas destinations. What signal does that send to others – that a beach on Maui is more desirable than Ninety Mile Beach or the Marlborough Sounds in NZ? 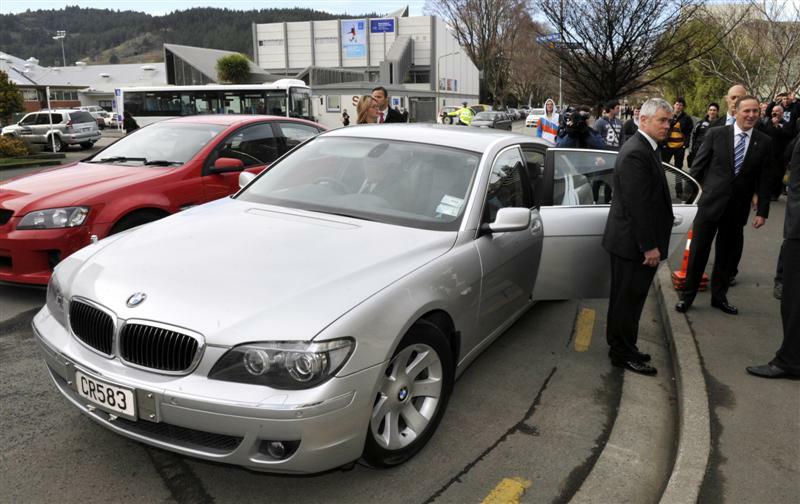 By contrast, his predecessor, Helen Clark, routinely holidayed locally. Her tramping trips into our incredible scenic wilderness – which Key refers to in his comment above – were legendary. We should remember the excellent Colenso advertising campaign in 1984, which encouraged New Zealanders “Don’t Leave Home Till You’ve Seen The Country“. 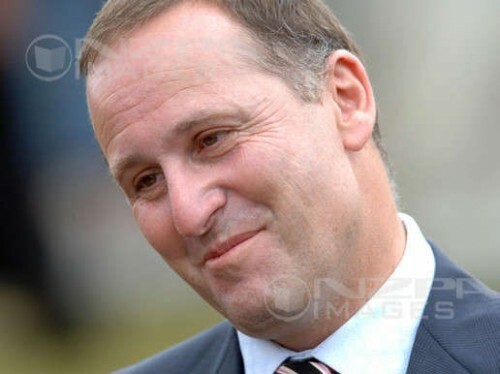 If John Key is serious about encouraging tourism to “lift it’s game”, he definitely needs to either take the role more seriously – or pass the portfolio on to one of his colleagues. Preferably one who actually enjoys holidaying in our own country. The Story of Asset Sales – In Very, Very Simple Terms. "I have an announcement to make!" 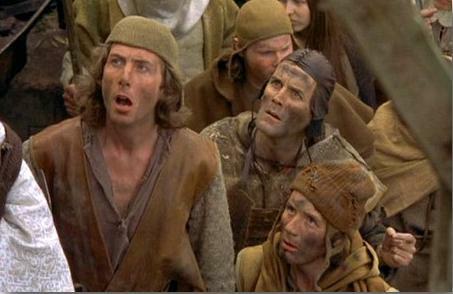 The good, simple serfs folk of New Sheepland waited in anticipation. After so many decades, was the much-promised wealth about to trickle down upon them? 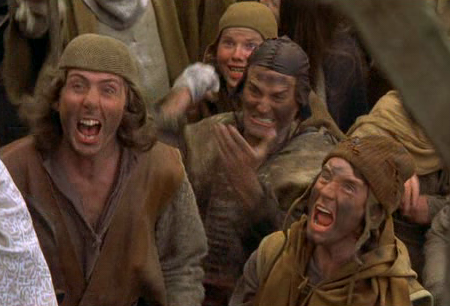 "My loyal serfs, er, I mean subjects! I have decided that the power generators that you have all slaved, er, worked so hard to build, can now be yours!" "Yes, for only a week's wages, you'll be able to buy your very own SHARES in Mighty River Power! How cool is that, my Loyal Subjects!" "Wha-?!?! But, Dear Leader - "Mighty River Power belongs to us, already! We built it!" "Shhhh! Now, now, muddy little man! This will be your chance to own it. 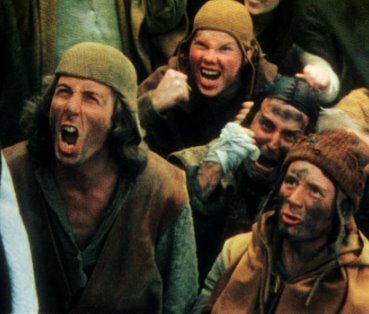 Otherwise, the Big Bad Ogres from a far away land will come and take it away for themselves!" "The Big Bad Ogres from far away! That's all you need to know! So if you don't buy Mighty River Power, they will!" "Oh really? Well here's an idea, Flash Harry! Don't sell the bloody thing! We already own it!" "Well, why sell it at all? What'll you do with the money?" 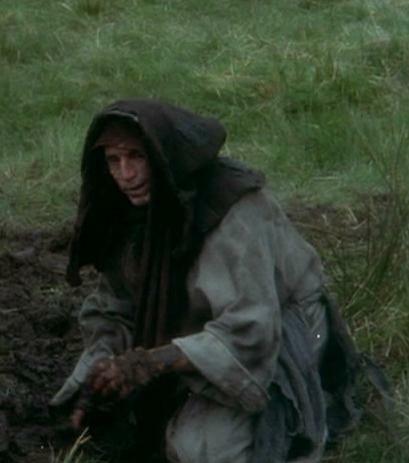 "Tax cuts, my little muddy Subject! Tax cuts!" "What tax cuts? How much do we get?" "Everyone will get a tax cut, Good Lady! 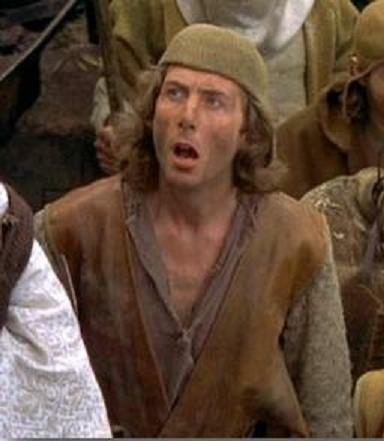 Whether you're a serf, er, worker or a Lord! Everyone! "Oh yeah?! And how much do the Lords get, then, eh?" "The Lords and Ladies of the Manors of the land will recieve 100 bars of gold, and a bushel of emeralds, rubies, diamonds, and sapphires. Also, several million in US dollars, deposited into their Swiss Bank accounts. 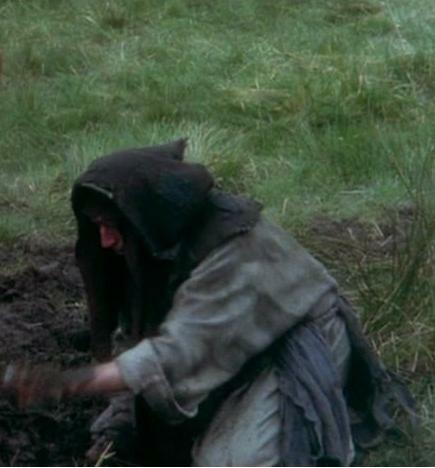 Anything else, peasant woman?" "Yeah? What do we get?" "If you behave, you'll get a balloon." "A balloon?! How is that fair???" "It's not. But you voted for me. Any other questions, Loyal Subject?" "Can I have a yellow balloon?" Moral: If you voted National – what did you expect? 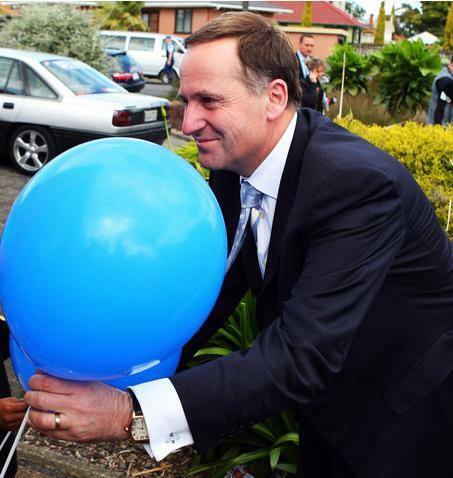 Just be happy with the balloon you got. You got my vote, Carmen. You were one of those special people; unique and your own person. The world is a slightly lesser place because of your passing. The problem I have with these “Honours” is that the public have no say in the matter. As far as I can see, they are issued to politicians and wealthy businesspeople – not exactly community-minded, and often on dubious grounds. I’d be more inclined to offer these Honours to the folks working in our community, helping the vulnerable; mentally unwell; troubled children; abused women and families… the ones who pick up the pieces from negligent government policies. For example, Women’s Refuge which this year suffered an $800,000 cut from government – whilst the NZ Defence Force received $20 million funding for advertising. “Advertising“?!?! Personally, I’d rather see an Honour given to Bryan Bruce who recently produced the excellent documentary, “Inside NZ: Child Poverty“. Bruce has earned our respect for his diligence in reminding us that NZ faces some seriously critical problems surrounding poverty. If that doesn’t merit recognition – what does? Sometimes, the best recognition doesn’t need a title.